From the cut to the color, every year there’s one ring style that stands out among the rest. Last year it was all about a vintage-inspired design, and this year, we reached out to the talented jeweler designer Jennie Kwon for her expert insight on the style that will be huge next year. "Our rose-cut diamond rings have gained a ton of momentum throughout the year and we predict that this will continue in 2017," she said. "The couples we meet with are less concerned about carat size and something that's large andstatement-making in the traditional sense. Rose-cut diamonds speak to them because of their quiet brilliance and one-of-a-kind shapes. Each of our rings designed around a rose cut diamond is unique and brides-to-be appreciate the fact that their ring is theirs and theirs alone. They're different from your traditional brilliant-cut diamond while still having the permanence of a diamond." So, if you’re planning on getting engaged and want an on-trend ring, opt for a beautiful rose-cut diamond. If you’re not sure what a rose-cut rock looks like, don’t sweat it, we’ve gathered the most stunning options on the market right now. See the proof below. 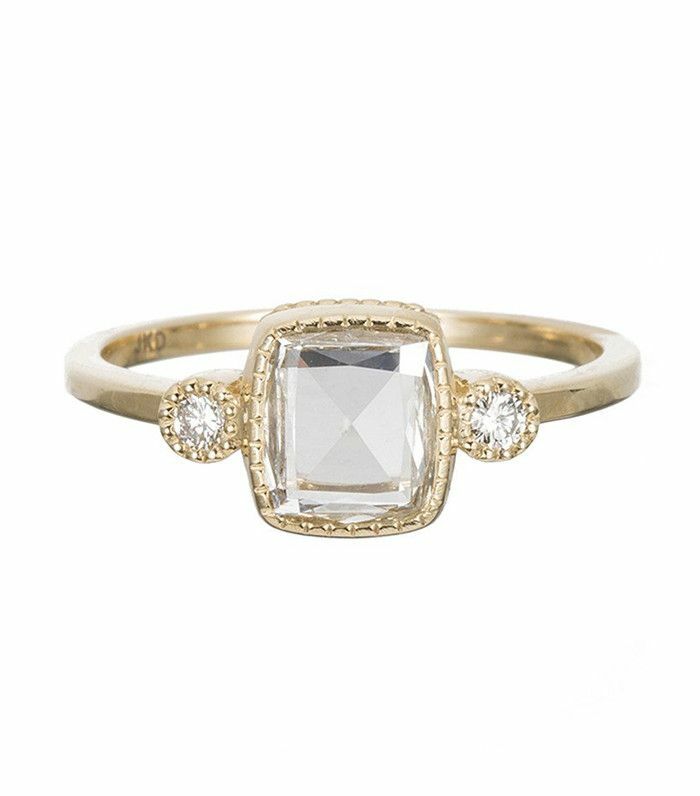 Check out the engagement ring trend that’s going to be huge in 2017 below! 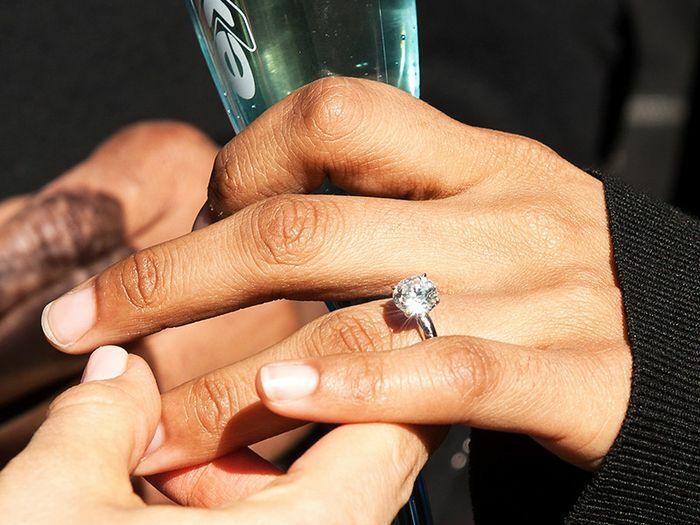 Up next, seven real girls with the prettiest engagement rings.